ALL fields are OPEN !!! Coaches are responsible for suspending play if field conditions worsen. All-Star 2019 Registration is NOW OPEN! You will be required to upload a January utility bill, and complete and upload the 2019 LYB Tournament Team Registration form. The tournament team registration from can be found in our quick links to the left under downloadable forms.  Your player will be required to pre-register to attend their respective age group try out. 2019 In-Season Practice Schedules now available! Visit the Dowloadable Forms page and choose your division. River Cats Day is coming! Click the flyer below to download and print the application. Applications must be complete and turned in no later than May 1st at the Morse Park Snack Bar. Incomplete or late packets will not be considered. Awards dinner and ceremony to be held Thursday, May 16th at 6pm at McConnell Estates Winery. Applications must be submitted by May 1st at the Morse Park Snack Bar. Don't delay! Please join me in thanking the following parents and community members who are generously giving their time as members of our 2019 Board of Directors. The Cal Ripken Division of Babe Ruth League, Inc. have approved the use of the 2 5/8 inch barrel bats for local league play and tournament play beginning in January 2018 and coinciding with the new USA Bat standard. External links are provided for reference purposes. Laguna Youth Baseball is not responsible for the content of external Internet sites.